I love chasing waterfalls, and this particular one is one of my favorites. Now it has even more meaning, because the photo above will be featured for the month of March in the 2013 Blue Ridge Parkway Calendar. The Cascades waterfall is located in E.B. Jeffress Park at milepost 272 on the Blue Ridge Parkway near Boone, NC. 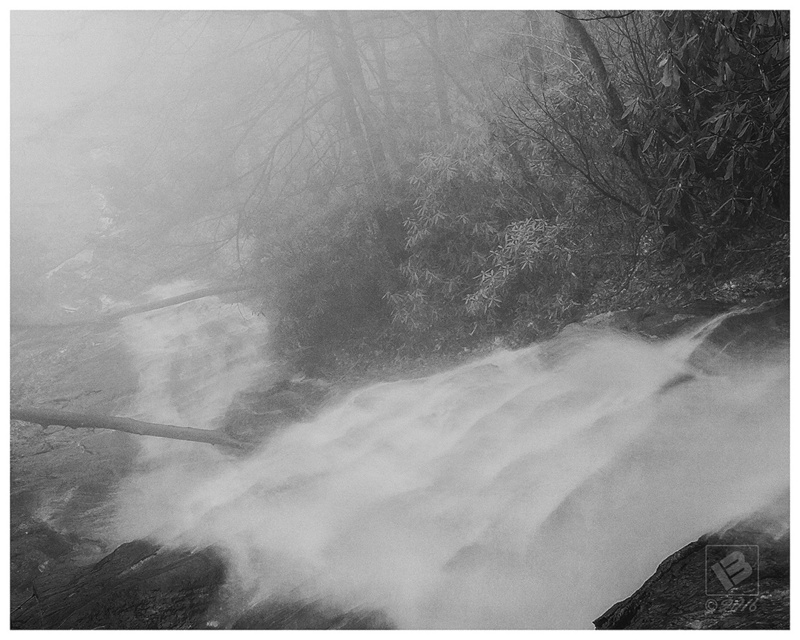 This shot was taken on the way back from Boone in the spring of 2008 on a very foggy afternoon. Even though visibility was limited, the conditions were perfect for photographing the falls that day. As cameras and technology continue to improve, it’s worth noting that both of these shots were taken with a 6.1 MP Nikon D40! 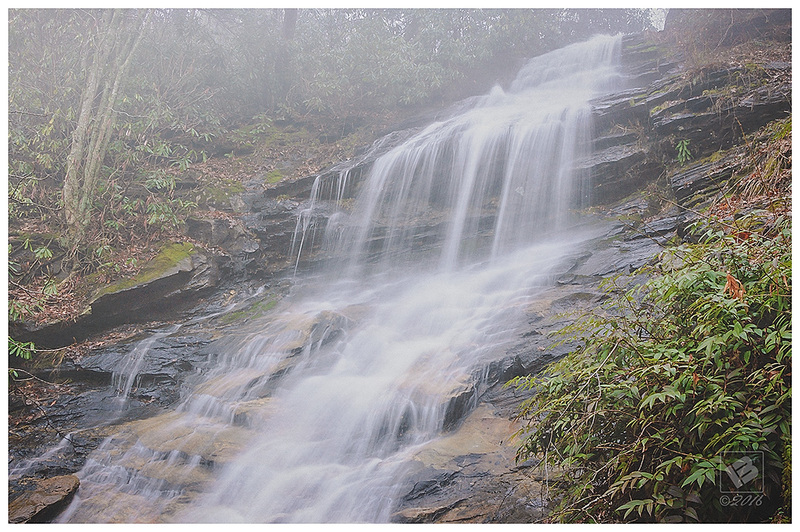 This entry was posted in NC, NC Mountains, North Carolina, Waterfalls and tagged Cascade Falls, E.B. Jeffress Park, Linkedin, milepost 272 on the Blue Ridge Parkway by Matt Bennett. Bookmark the permalink. YAY! Congrats on winning the photo contest!! What an amazing photo..no surprise why you won for sure!! Congratulations, Matt! How cool is that? I read there is an 18 foot waterfall up in Rockingham County that is somewhere in the Mayo River State Park. I see it is off Deshazo Mill Road where we were last Sunday. You have to walk along the river edge for a while, but I think from the photos I’ve seen it is really worth the hike. Maybe a spot for your photos in the future? Heather/Karen, thanks! Yes Karen, the waterfall in Mayo River SP is called Flat Creek Falls. It does look like one worth checking out, so thanks for the tip!